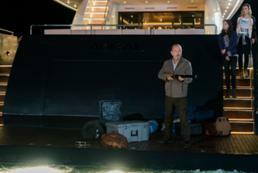 From AMC Studios FEAR THE WALKING DEAD: THE COMPLETE SECOND SEASON is the suspenseful and thrilling second season to one of the most highly anticipated and acclaimed TV series of recent years. Discover how the world fell apart in the companion series to the global phenomenon The Walking Dead. 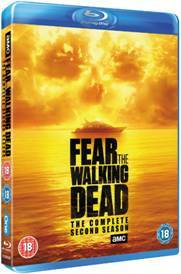 Don’t miss the next chapter of the deadly series as FEAR THE WALKING DEAD: THE COMPLETE SECOND SEASON is available to pre-order now from Amazon http://amzn.to/2ecgClf and comes to Blu-ray and DVD on 5th December 2016, courtesy of Entertainment One. 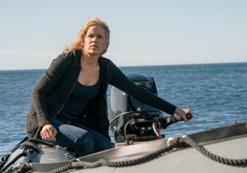 FEAR THE WALKING DEAD: THE COMPLETE SECOND SEASON features an incredible returning cast including; Kim Dickens (Gone Girl, The Blind Side) as high school guidance counsellor, Madison Clark; Cliff Curtis (Live Free or Die Hard, Last Knights) as English teacher and Madison’s boyfriend, Travis Manawa; Frank Dillane (In The Heart Of The Sea, Harry Potter and the Half-Blood Prince) as 19-year-old drug addict and son of Madison, Nick Clark; Alycia Debnam-Carey (Into The Storm, The Devil’s Hand) as top student and daughter of Madison, Alicia Clark; Lorenzo James Henrie (Star Trek, Warrior Road) as rebellious teenager and son of Travis, Christopher Manawa; Ruben Blades (The Counselor, Safe House) as El Salvador refugee and barber shop owner, Daniel Salazar; Mercedes Mason (NCIS: Los Angeles, The Finder) as their daughter Ofelia Salazar; Colman Domingo (Selma, Lincoln) as hot shot estate agent and boat owner, Victor Strand; and Michelle Ang (Triple 9, Fallen Stars) as one of the survivors from Season 1, Alex. Season 2 also sees a stellar guest appearance from Dougray Scott (Mission: Impossible II, Taken 3) as Thomas Abigail, a friend of Victor’s. After witnessing the burning of Los Angeles, Madison, Travis, Daniel and their grieving families board the ‘Abigail’, still unaware of the true breadth and depth of the apocalypse that surrounds them. But as Operation Cobalt goes into full effect and the military bombs the Southland to cleanse it of the Infected, the Dead are driven toward the sea. As the group head for ports unknown, they will discover that the water may be no safer than land. Don’t miss what Complex UK described as “the best zombie show on TV” as FEAR THE WALKING DEAD: THE COMPLETE SECOND SEASON is available to pre-order now from Amazon http://amzn.to/2ecgClf and arrives on Blu-ray™ and DVD from 5th December 2016, courtesy of Entertainment One.